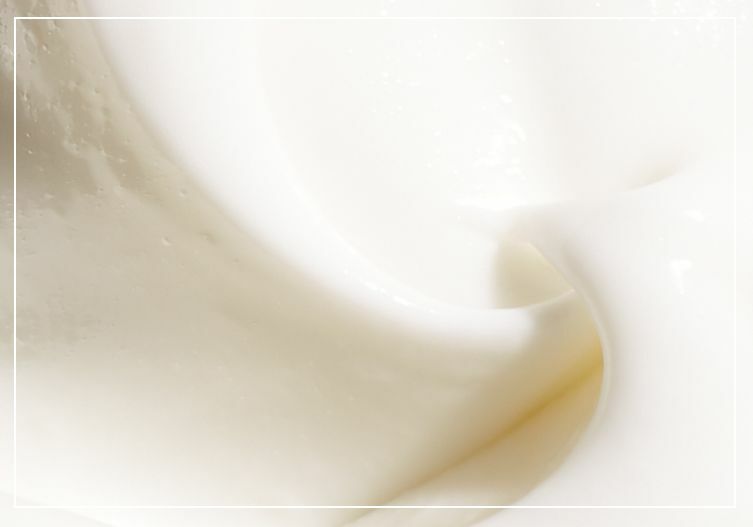 experience the power of purity made simple face moisturizer and see healthy, radiant skin instantly! *based on a 1-week self-assessment study with 94 women aged 18-35.
caution: avoid direct contact with eyes. a blend of vitamins c & e derivates, exclusive green tea antioxidant complex, sustainably sourced meadowfoam seed oil and cold-pressed chia seed oil. ingredients: aqua/water/eau, cyclopentasiloxane, bis-peg-18 methyl ether dimethyl silane, glycerin, butylene glycol, butyrospermum parkii (shea) butter, glyceryl stearate, peg-100 stearate, cetearyl alcohol, cetyl alcohol, limnanthes alba (meadowfoam) seed oil, phenoxyethanol, stearic acid, tocopheryl acetate, salvia hispanica seed oil, panthenol, parfum/fragrance, acrylates/c10-30 alkyl acrylate crosspolymer, linalool, bht, ascorbyl glucoside, disodium edta, sodium hydroxide, peg-8, tocopherol, sodium hyaluronate, lecithin, alcohol denat., geraniol, polyglyceryl-3 diisostearate, pantolactone, ascorbyl palmitate, citronellol, camellia sinensis leaf extract, coffea arabica (coffee) seed extract, pongamia pinnata seed extract, benzyl benzoate, limonene, ascorbic acid, angelica archangelica root extract, citrus aurantium amara (bitter orange) peel extract, maltodextrin, citric acid, magnesium aluminum silicate, xanthan gum, caprylyl glycol, sclerotium gum, sorbic acid, fd&c yellow no. 5 (ci 19140), fd&c yellow no. 6 (ci 15985). purity made simple is rated 4.8 out of 5 by 242. Rated 5 out of 5 by sherryc from Nice lightweight moisturizer!! I bought this moisturizer and am very satisfied with my purchase. It's lightweight and makeup goes on very well over it. It provides just enough moisture but doesn't overwhelm your pores and cause breakouts. 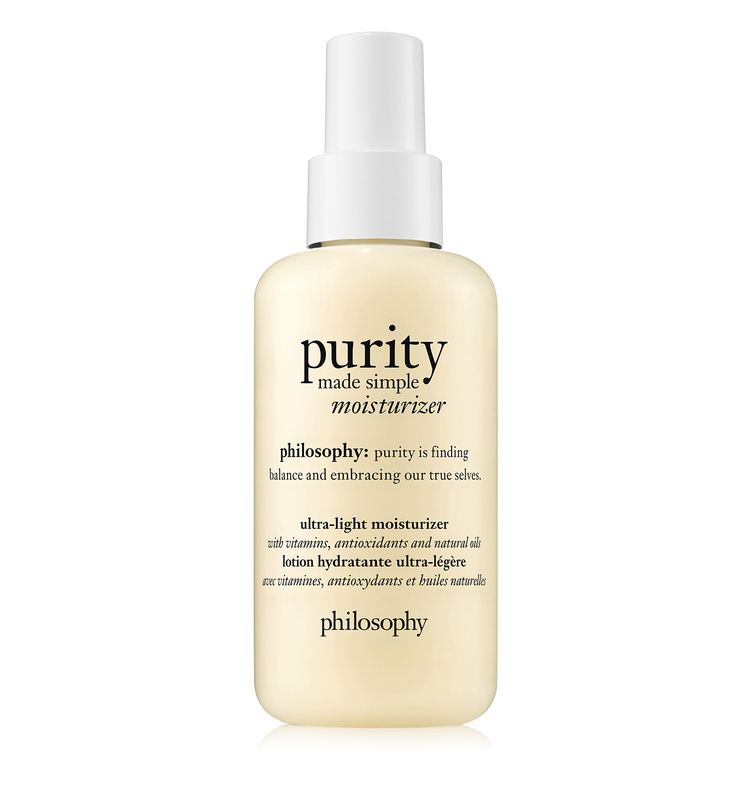 Rated 5 out of 5 by merik from Purity at it's best The Purity made simple ultra light moisturizer is the perfect accompaniment to the Purity face wash. Love them both. Thanks Philosophy. Rated 5 out of 5 by CMH1 from Ultra-light moisturizer Best moisturizer I've ever used. Perfect for my skin type. Rated 5 out of 5 by Nica from My new daily moisturizer I was thrilled when I received a free sample as a gift. I have been looking for a new daytime moisturizer since dermalogica discontinued their light oil control moisturizer...which worked great for me for many years. I tried other moisturizers, but they were far too heavy to wear under makeup. Now, my skin seems less oily due to years of living in dry Colorado....and this new moisturizer seems to fit the bill perfectly. Thank you for sending that sample!